Happy New Years!! Hope everyone have a wonderful and safe holidays. In light of New Year's eve and the New Years, I wanted to create nails the were bright and fun. Every New Year's Eve I like to spend my time in New York City, either with family or in Time Square watching the ball go down. I was browsing online, looking for some New Year inspiration, then I remembered looking threw the Disney store and saw their Dooney & Bourke bags. What really caught my eye was their fireworks on their handbags. It was completely different from what I've seen and wanted to try it. 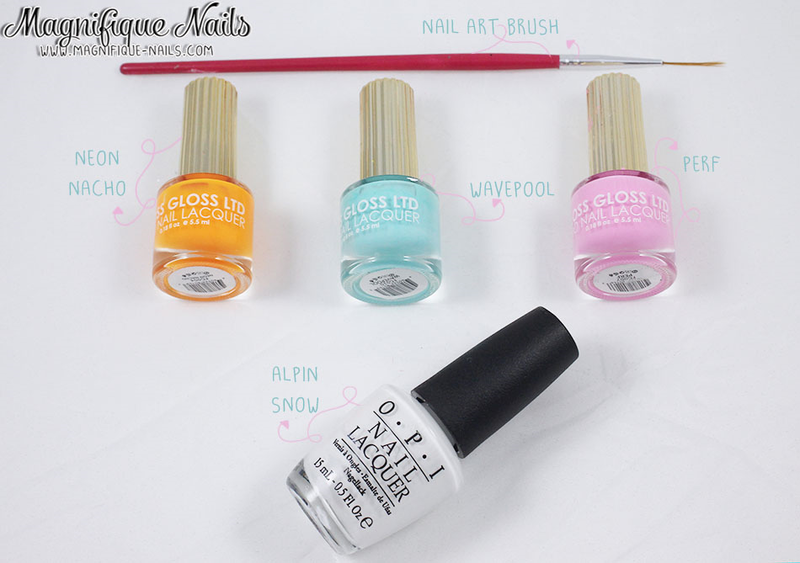 First for the base, I applied two coats of OPI Alpine Snow. 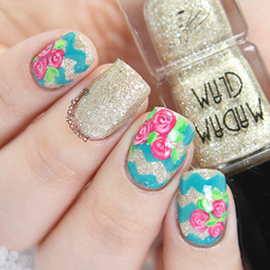 For the details, with a dotting tool I created the fireworks on each of the nails. 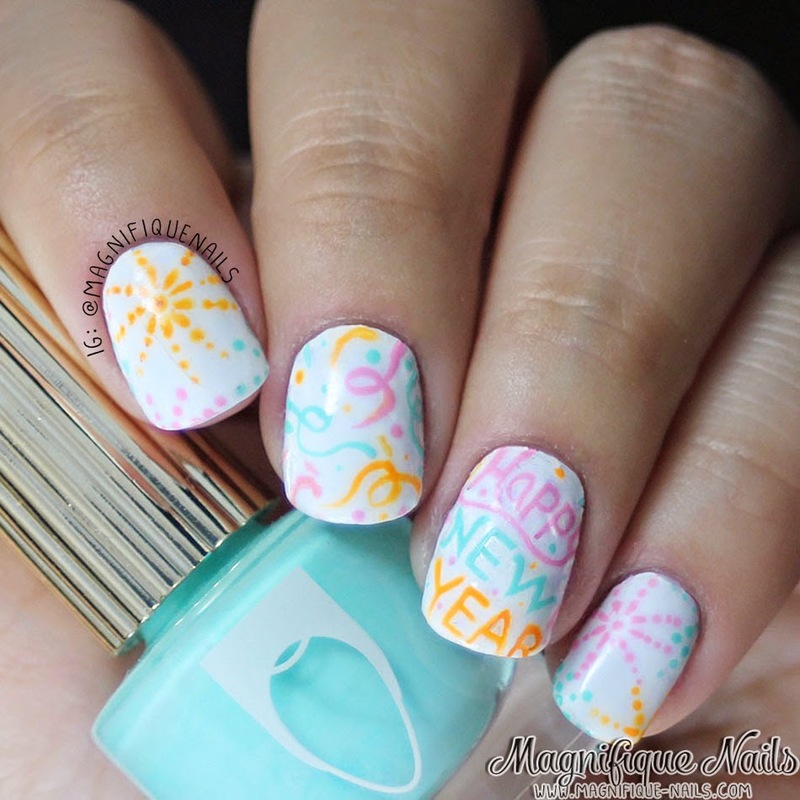 Then with a nail art brush I drew confetti and the "Happy New Year", using Floss Gloss Neon Nacho, Wavepool and Perf.